The Peak District, The Lakes, Wales, Scotland, The Yorkshire Dales; I could go on. There are plenty of decent areas of hills in the UK, Meccas for the hikers and bikers alike. These are the most popular places, the National Parks, the commonly spoken of, the well written about and very much rightly so. I really enjoy hiking, biking, kayaking and camping in places such as these. But that familiarity for those places, wrongly leads many, including me it seems to assume that everywhere else is relatively flat and boring. Not so. In my personal challenge to ride the 100 climbs as described by Simon Warren in his book – “100 Greatest Cycling Climbs: A Road Cyclist’s Guide to Britain’s Hills – I have found myself visiting places and areas of the UK that ordinarily I wouldn’t have thought about going to. So when I had an opportunity to fit in a ride after work on my way back from St Helen’s I immediately turned to the book and worked in a detour to my return journey. 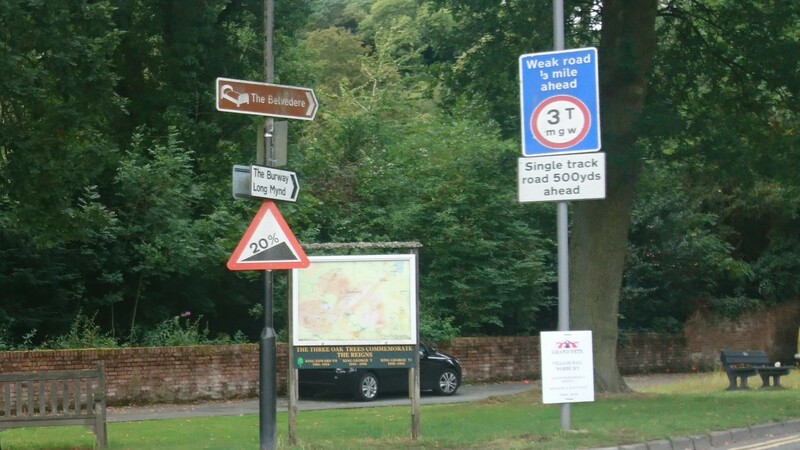 Having previously detoured similarly via Telford in order to bag hill number 38 “Jiggers Bank”, I knew that an extra hour on my journey going via Shrewsbury would allow me to pick off number 39 “The Burway”. Now I’m not one for turning up at the bottom of a hill and just riding up it. Sure, if I was attempting to climb all 100 hills in the shortest possible time then that’s what I’d have to do. But I’m not, so I don’t. Instead I like to find a place to park up the car (ideally free), that’s not so far off the major road routes, that allows me to design a cycling loop that takes in the general area as well as the planned hill(s). This way I get to ride through the local villages, see the area as a whole and of course achieve the climbs that I set out to complete. This is how I found myself in the car park of “Lyth Hill Countryside Site” along with a variety of dog walkers, ramblers and others. It’s a gravel car park situated nice and close to the A5 Shrewsbury ring road, at a good distance from The Burway and ticking my ‘free’ box too. Ideal. Unlike the weather, which for a Thursday afternoon in August was shaping up to be very disappointing. Black clouds forming overhead, a bit of a chill in the air and no sun to be seen anywhere as I set off on my mini-adventure. The Shropshire Hills are officially classed as an AONB (Area of Outstanding Natural Beauty), so I shouldn’t have been surprised really but I was taken aback by how impressive the scenery around these parts is, especially because I really had no previous knowledge of this little oasis of hills in the West of England. 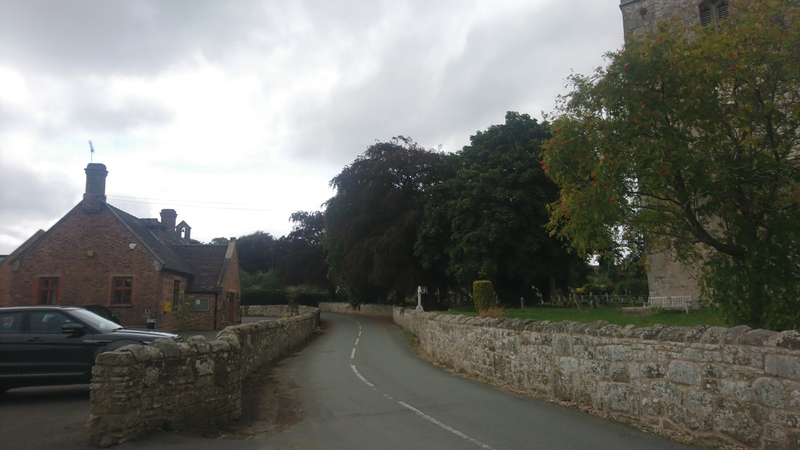 My starting point wasn’t even in the official AONB but pretty much as soon as I’d got off the A49 I found some really nice roads to ride, taxing short sharp climbs and twisty roads passing through Great and Little Ryton. All the time getting closer and closer to the main event and being able to see the big hills rising out of the earth across the open fields. Fortunately the clouds continued to hold on to their rain and I made my way through Cardington and on to the beginning of the target hill in Church Stretton. The hill climb is referred to as ‘The Burway’ in the 100 climbs book but that’s the name of the road not the hill. 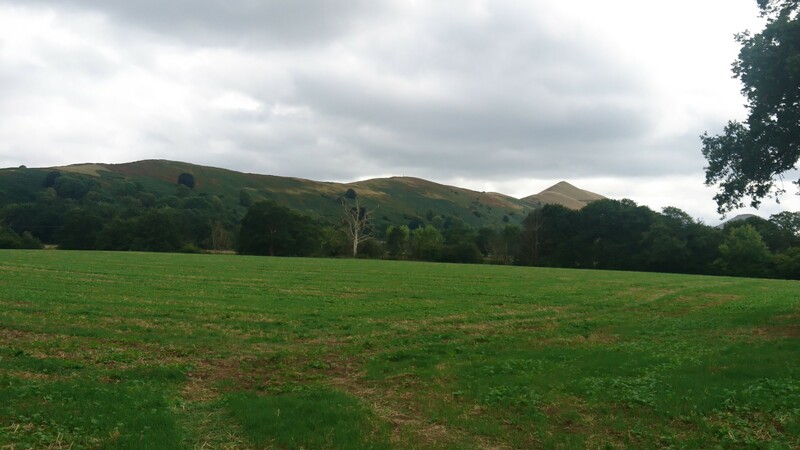 The actual hill is called Long Mynd and stands towering over Church Stretton. It’s not difficult to find, just look out for the 20% gradient sign! Well here we go then, lets hope the legs are feeling up to it! The climb starts off, up out of Church Stretton and it’s not too steep to begin with but don’t hit it too hard or you’ll suffer more later on. Once you leave the town and pass over the cattle grid (It’s always the cattle grid) then things start to get real both in terms of gradient and the views. You find yourself on a narrow road that’s been cut into the side of the hill, so off to your right you look right down into the Carding Mill Valley, quite a view! As for the gradient, it bites. The 20% sign at the bottom has pre-warned you so it doesn’t come as a surprise but being forewarned doesn’t make it any easier. It’s one of those climbs that doesn’t really relent it’s just a persistent constant rise, it means that you don’t get any sort of rest or respite anywhere up the climb, so I picked my gear (42-28 – the lowest option on my current 1x setup) and dug in. Once up on the top, you find yourself out in the wilderness. But not in the middle of nowhere, you are after all only 15 – 20 miles from Shrewsbury and 50 from Birmingham, of course it doesn’t feel like that when you’re up there among the sheep and the weather starts closing in on you. Yep, no sooner than I had reached the top did it start to rain, slowly at first, then bit by bit it got heavier. Not the nice warm sort of summer rain either, this was proper chilling stuff, you know, the worst stuff to ride in when you’ve got a big descent from the top of a hill to come – great! But when you’ve got no second option available you have to choose option 1, carry on regardless. On a much nicer day I can imagine the descents being real good fun. 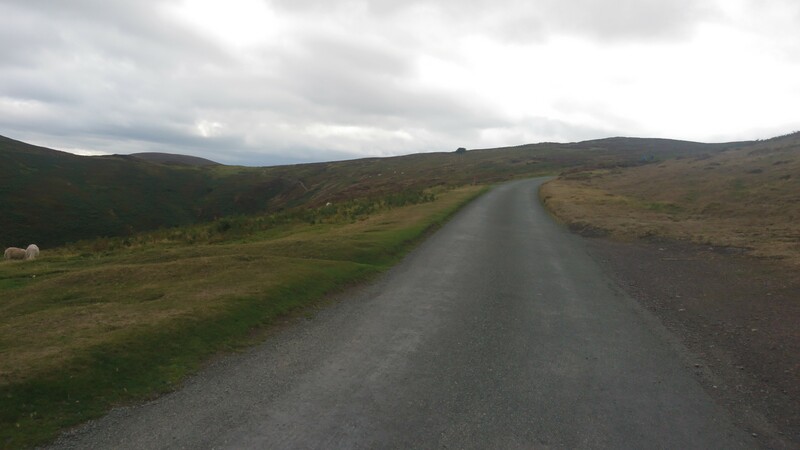 From the top of Long Mynd there’s a short descent before you climb up and over another smaller hill – same altitude but because you’re already high up it’s a smaller climb. Then from there on pretty much the entire remaining ride was all downhill, great, unless you’re getting cold and wet and could really do with some efforts to warm you up. Fortunately once I’d dropped down a bit and reached the shelter of some wooded areas and found some slightly more sheltered roads (think hedges and stone walls), I didn’t feel so bad, although I’m not going to go as far as suggesting that I warmed up. And, yes, once I’d got back to the car I quickly got back on the road and turned up the heating and then picked up a coffee asap! Also don’t forget to subscribe to the blog to get notification of my latest posts. You can also now find links to my posts on my new facebook page – https://www.facebook.com/Spoke-Revolutions-245318649355902/.